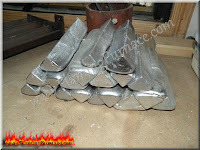 In my previous posts I went over how to setup a homemade aluminum foundry. 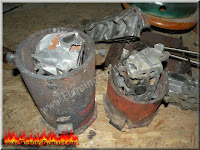 This post will be dedicated to the subject of what scrap aluminum would be ideal for the homemade foundry. 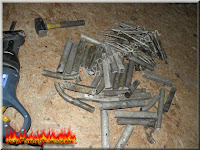 At this stage I have melted many aluminum alloys from different objects. One of the main things that makes this odd hobby fun is taking used aluminum items and recycling them into something new, for example the decorative animal shapes that I made for my kids room I made from an old pressure cooker. 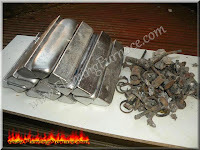 Its very easy to order online ready processed aluminum ingots however I think it takes away from the fun of looking for scrap parts and processing them from scratch into something new. 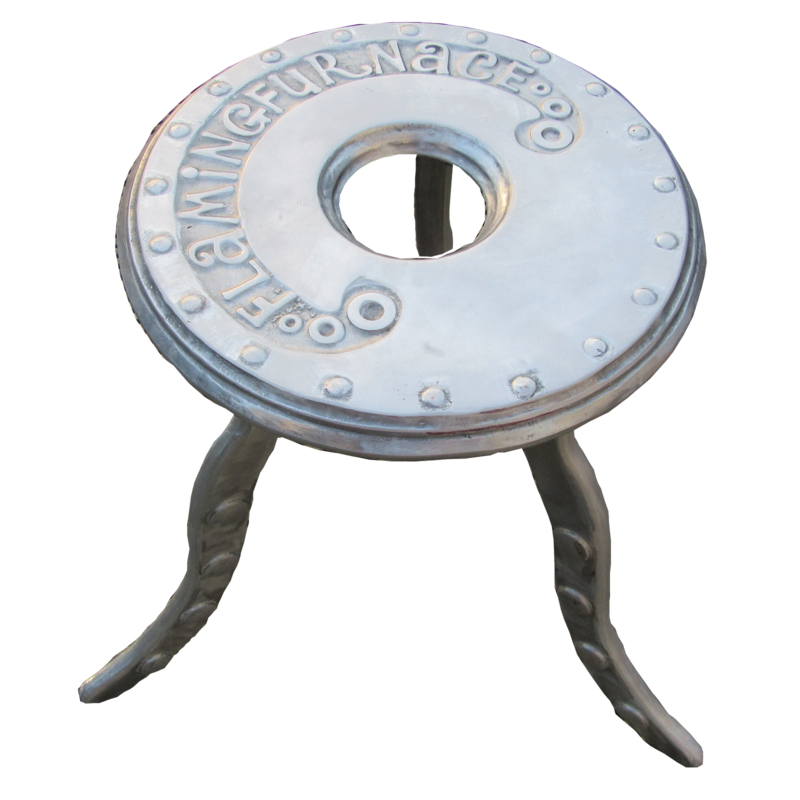 There are many types of aluminum objects made from different alloys that can be used by the amateur metal caster. 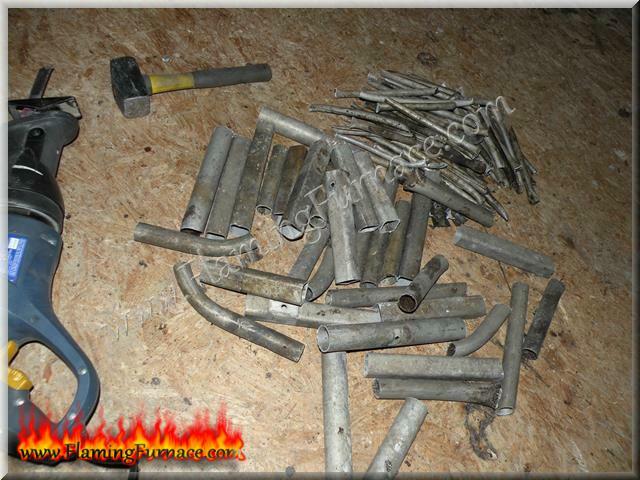 On the image at the left you can see different types of objects that I melted into clean aluminum ingots. For example an aluminum scooter, brackets, pressure cooker lid, baby pram frame, flood light frame, electric box cover, door handles, solid aluminum engine block, ladder parts, engine piston and old antenna tubes. Another point to rise is that for many metal casting hobbyists there is no need really to segregate the aluminum alloys for a simple reason, not too many people are casting in their back yard, Aluminum parts such as engine pistons that requires unique grade of alloys because of the unique mechanical purpose of the object. 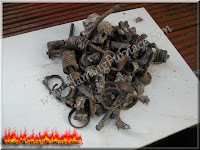 Most homemade foundry metal casters that are doing it for a hobby will usually create decorative objects that will sit on the shelf or be hung on the wall that's why it doesn't really matter the alloy segregation. 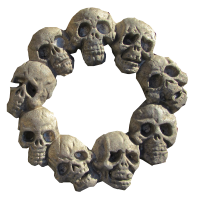 However after saying that it is a good practice to make the metal casting from the same alloy if possible. 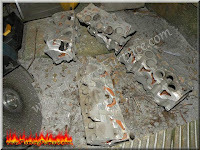 What I can recommend as a good source of aluminum is car engine parts. 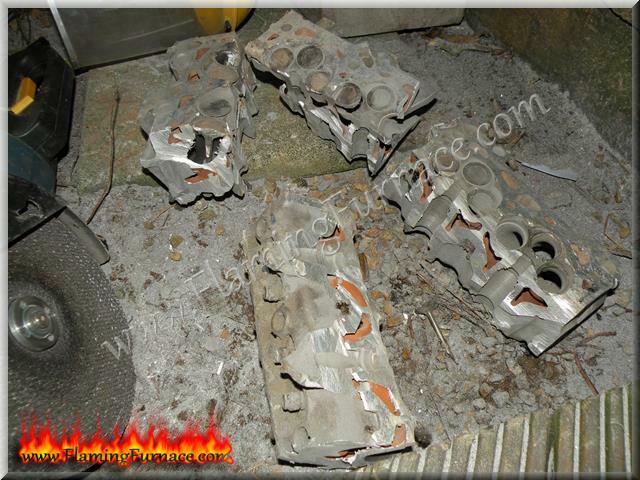 I got from a friend a broken engine block. My main problem is that my foundry and crucible are too small for such a big part of aluminum. I started by taking a heavy hammer and breaking all of the engine block edges, after I cut it into 4 chunks of aluminum that would fit into my crucible. I got a fair amount of aluminum from this aluminum engine block. All the metal parts pose no issue as once the aluminum turns molten its very easy just too scoop them out before pouring the molten aluminum into the ingot mold. One source of aluminum I wouldn't really recommend to collect and melt is aluminum tubing. 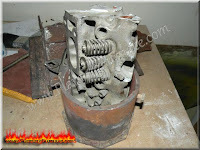 The volume of aluminum to be extracted is very low and the time consumption of the melting session is just not worth it. 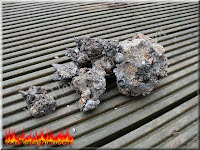 When running a homemade foundry it's always good practice to make the sand mold first and after to light up the foundry melting clean ingots. 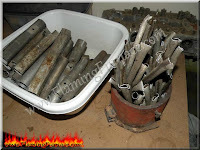 Using clean ingots may increase the odds of a good aluminum sand casting without the need too skim too much impurities out of the molten metal in the middle of the session. Also working with clean ingots will dramatically decrease casting defects. In the next images you can see an example of an old flood light, broken aluminum light frame and after skimming all the impurities and pouring the clean aluminum into ingots. The ugly blob of dross is all the impurities such as old paint and dirt. The next thing I decided to try is an experiment on how much aluminum I can extract from melting drink cans. I know I don't recommend it in my site safety statement but again this is for educational purpose ;-) I started by making a primitive can crusher by welding some scrap metal. The more compacted the cans are the less space they take in the crucible and it is quicker feeding them into the crucible. For my drink cans melting experiment I collected 2.5 K.G of aluminum drink cans. Melting cans is a very quick and easy process once the foundry reaches the adequate temperature. The down side is too much impurities that needs to be skimmed out from the top of the molten metal, very frequently. I got a total of 1.5-KG aluminum and 1-K.G Dross (scrap impurities).